Provide comfort for the family of Zeilah Maye Harlin with a meaningful gesture of sympathy. Viewing will be 12-8pm Sunday with family present from 2-5pm. Services will be held 11am Monday in the South Colonial Chapel with burial to follow at Pilgrims Rest Cemetery in Newalla. Zeilah Maye Rogers Harlin died Wednesday January 23, 2019 after a brief illness. She was 95 years old. Zeilah was born June 11, 1923 in Newalla, Oklahoma. She was the third-born behind brother, Orbra Aaron Rogers and twin sister, Leilah Faye Rogers to parents Oscar Rogers and Ora Bell Rogers. Zeilah married Clyde Byron Harlin in a double wedding ceremony with her identical twin sister, Leilah Faye Rogers and William Harlin on D-Day, June 6, 1944, in Newalla, Oklahoma. Zeilah graduated from McLoud High School in 1939. She attended Oklahoma Baptist University for two years and then completed her Bachelor’s Degree in Music Education from The University of Central Oklahoma. While attending UCO, she became a member of Kappa Kappa Iota and remained active throughout her entire life. Zeilah taught school for 38 years and was the pianist for Kentucky Avenue Baptist Church in OKC for 74 years. She enjoyed playing the piano, painting, and making ceramics. Her greatest love was spending countless hours making unforgettable memories with her family, especially her grandchildren. Great-Grandchildren: Lincoln Lewis of Denton, Texas, and Ada and Dorian Harlin, of Norman, Oklahoma. In lieu of flowers, family requests memorial be made to Kentucky Avenue Baptist Church. 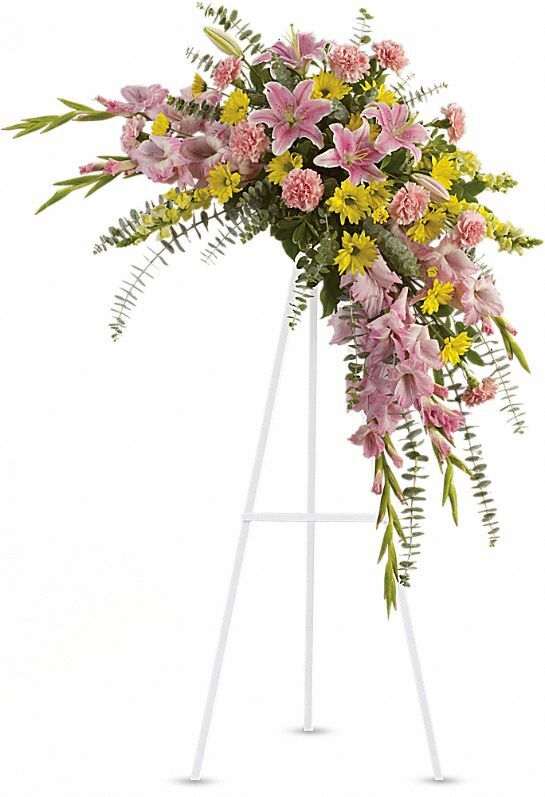 To send flowers in memory of Zeilah Maye Harlin, please visit our Heartfelt Sympathies Store. We encourage you to share your most beloved memories of Zeilah Maye Harlin here, so that the family and other loved ones can always see it. You can upload cherished photographs, or share your favorite stories, and can even comment on those shared by others. Gail, Luke, Fred, Dan & Tadd sent flowers to the family of Zeilah Maye Harlin. With loving memories of our Aunt Zeilah, from the five Selby cousins. We will miss her! Peace, Prayers, and Blessings to you all. We love you. Gail, Luke, Fred, Dan & Tadd purchased flowers for the family of Zeilah Maye Harlin.